Consciousness level is about WHO AM I How can I become more aware of my true purpose in life and the meaning of all I experience?Answering these questions will change the way you see yourself and the world around you. This publication explores the interaction between your perceptions and your Consciousness Level. Fine tuning your perceptions can help produce powerful new insights about your potential to become a fully realized and self-actualized human being. Raising Your Level of Consciousness will help you to better understand what you believe about yourself and how it affects every area of your life. When we are conscious of our true nature, love, joy, and wisdom can fill our lives and guide our actions. Raising Your Consciousness Level focuses on personal issues, particularly issues surrounding the tremendous inner power we all have to create our own destinies. By aligning your thoughts, you can raise your consciousness to a level that makes you more aware of the important and joyful aspects of your inner and outer worlds. Consciousness grows out of our perceptions. 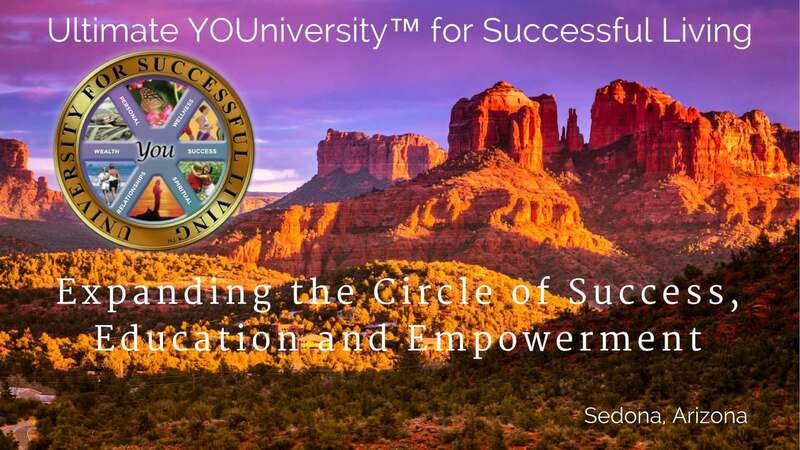 If you would you like to enjoy the benefits of elevating your consciousness, this interactive program will be a big help as you move up the Enlightenment Ladder, Imagine That! The power of full consciousness lies latent, waiting to be developed within each of us. The truth about consciousness is that every thought creates. If you spend the majority of your time thinking negative thoughts, you will self-destruct before you ever discover the power to create wisely and well. Thus learning to raise your level of consciousness involves learning to think in constructive patterns. As you embark on your journey into higher consciousness, you cannot know fully what the experience will be like for you, or where it will lead you. There are many wisdom traditions around the world that have passed down information regarding what to expect, yet everyone experiences awakening in their own way. For many people, the expansion and raising of consciousness flows from one of three directions. One is the natural growth that results from life experience and our own efforts to improve ourselves. Two, an involvement with the Earth and Mother Nature often leads to the awareness that there are deep, sacred connections between something inside of us and the life we are immersed in while out in the forest or the fields. Three, working with people in social and community settings often sets up situations that touch us to the core and bring us into full realization that there is a bond between us and all others. We come to see that, while houses, food and transportation are important, it is love that transforms people, and we are the source of that love. When we let it flow, people blossom, hope springs forth, and a humble gratitude grows that surrounds and uplifts everyone. The result is change that benefits all.As consciousness expands, you will discover that change is constant and can be effortless if the timing is right. It is useless to insist that a six-month-old child learn correct penmanship, but at the age of 7, or perhaps 12, he is ready, willing, and able. The time is right. By increasing your consciousness and learning to see a broader swath of events, you can learn to see what is coming in the future by learning to see the tiny, hidden signs – some of them physical and some of them visions that occur only in the mind – that precede events. As consciousness expands, you will discover that change is constant and can be effortless if the timing is right. It is useless to insist that a six-month-old child learn correct penmanship, but at the age of 7, or perhaps 12, he is ready, willing, and able. The time is right. By increasing your consciousness and learning to see a broader swath of events, you can learn to see what is coming in the future by learning to see the tiny, hidden signs – some of them physical and some of them visions that occur only in the mind – that precede events. Raising consciousness level leads to a keen sensitivity to emotional nuances in yourself and others. You learn to notice and pay attention to emotional events inside yourself that clue you in to subtle knowledge about situations that many people miss. The result of overlooking this knowledge can lead to misunderstandings, poor decisions, misperceptions, and even tragedies. One of the benefits of raising your consciousness level is that doing so lowers your level of stress. The ability to see the big picture and not be caught in the drama of details, a better sense of timing, a growing sense of personal power along with the wisdom to use it, and an overwhelming love and compassion all combine to reduce your worry, frustration, and insecurity. The result is better health, better relationships, and greater success in every area of life. There are many ways to nurture higher levels of consciousness. One way is to save at least one day a week to do things associated with attaining expanded consciousness. Another is learning various forms of meditation, some of which are active and involve work or tasks in the world, while others are passive and involve sitting quietly, breathing slowly, and relaxing into complete stillness. It is also a good idea to find a group of people you can share the journey with, or take a class with a good spiritual teacher. 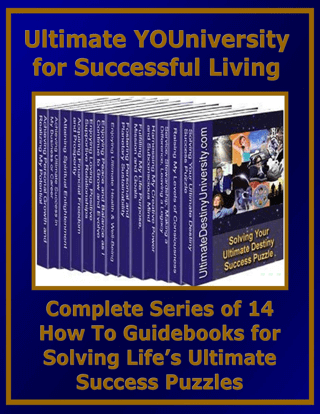 Which ever way is best for you, you will find that Ultimate Destiny has a huge assortment of books, coaches, webinars, tele-seminars, and resources that will help you along the way, including the workbook and guide, Raising Your Consciousness Level. This isn’t to say that not knowing is bad. We all do the best we can with what information available at the time. And yet, it is an exciting process of discovery to learn there are different ways to look at the same problem or different ways to live life, ways that more closely align with our identity as spiritual beings having a human experience. 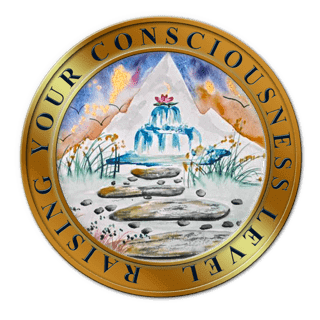 Raising Your Consciousness Level also includes featured resources including printed and digital book, audio and video programs, seminars, workshops, webinars, tele-seminars and live events from some of the top resource providers in the world. Raising Your Consciousness Level is a Treasure Chest packed with over 100 pages of original content, fun and insightful self discovery assessments, Master Goals Setting Forms, Implementation Action Planning Exercises and several FREE BONUSES. 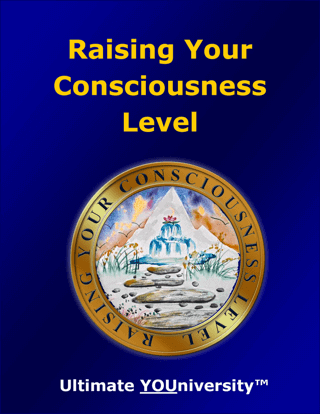 Raising Your Level of Consciousness is now available at introductory sale prices as an E-book and a print book.